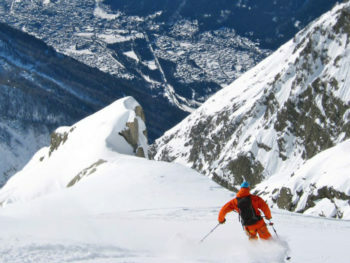 The Chamonix valley is a wonderful playground for the off-piste skier. 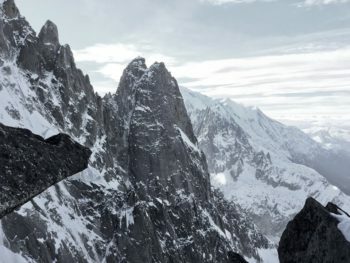 Cable-cars, such as the Grands Montets, give access to north facing slopes above 3000 metres. 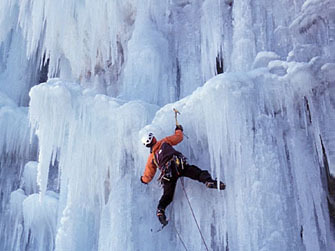 In mid-winter, with low temperatures the snow can remain excellent for days and even weeks at a time. 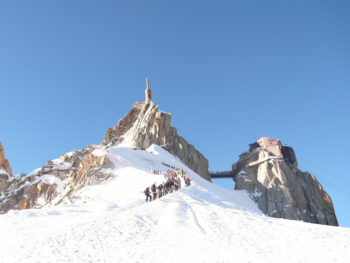 The Aiguille du Midi cable-car rises up from the centre of Chamonix to the top of the Valleé Blanche at 3842 metres. 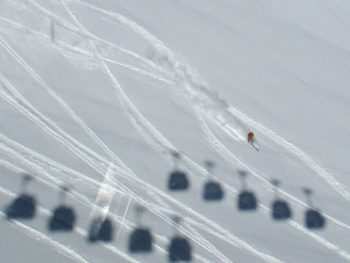 Level: Off-piste is open to anyone who has mastered the art of basic parallel skiing. Now, with the appearance of modern wider and shorter skis which are easy to turn, you can improve your technique and gain confidence very quickly. 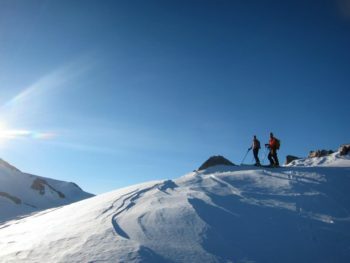 Once you move off the pistes the new and different types of terrain and snow conditions present their own unique challenges and opportunities. Maximum guide/client ratio: Max 1/6. Loan of safety equipment: avalanche transceiver, shovel, probe, harness. Contact me to talk about dates, ideas, or any questions.